Jason McCartney was one of the faces of the horrific 2002 Bali Bombings. He encapsulated the Australian fighting spirit in his heroic acts during the tragedy and subsequent return to the playing field of the Australian Football League. Covered in life-threatening injuries, Jason helped two sisters from burning wreckage and later gave up his seat on the evacuation aircraft to those he believed were in greater need. Jason’s extensive burns made him almost unrecognizable to his parents. He slipped into a week-long coma from which some believed he might not recover. Jason continued to fight and recovered in time for his wedding. As part of his recovery, Jason’s other goal was to return to the elite level AFL competition with his club North Melbourne. On June 6 2003, Jason donned a complete protective body stocking and played once again at the elite level. Drawing on the strength and inspiration of his “88 mates”, the Australians killed in the bombing, he scored the final go-ahead goal and was instrumental in the three-point fairytale victory over Richmond. With not a dry eye to be seen, broadcasters were clearly emotional during their call as Jason was chaired off the field by his team mates to a standing ovation from the entire stadium. His survival and return to sporting glory was a victory over terrorism and a win for all the victims of the Bali bombings. Jason’s courage and strength of character is what made it all possible. 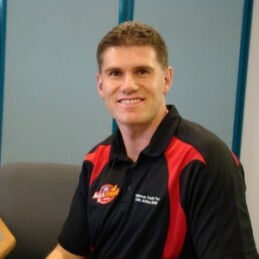 Following his retirement Jason secured a role as the Development Coach of the Fremantle Football Club before returning to Melbourne to become the List Manager of the Western Bulldogs.